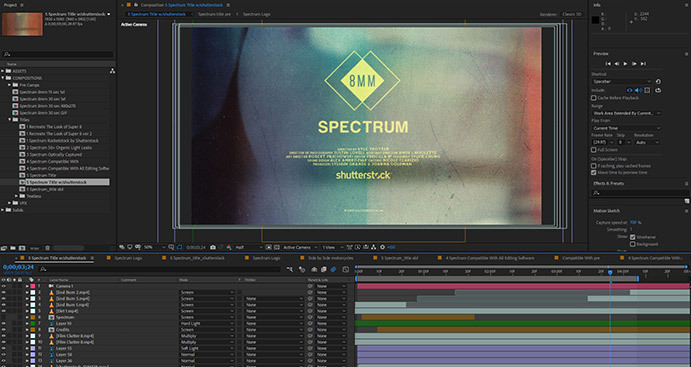 Give your work a hit of gritty ‘70s style with Spectrum. This dazzling collection features 64 light leaks with end burns, dirt effects, and more. To achieve a true vintage look, each element was organically captured on 8mm film and scanned using a Lasergraphics ScanStation. 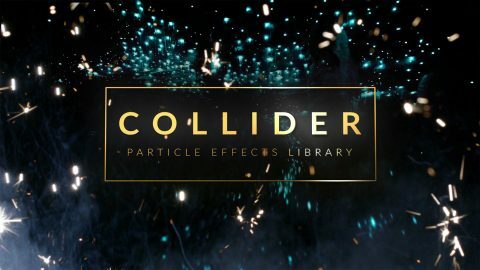 This eye-catching effects pack is the perfect way to enhance title sequences, music videos, and much more. 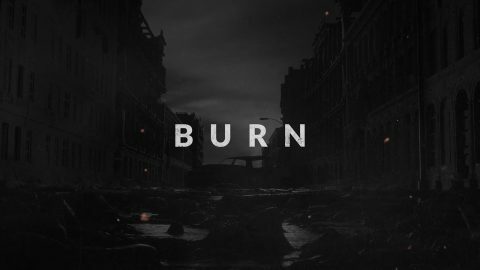 Add a cool, retro look to any project from films to promos and more. 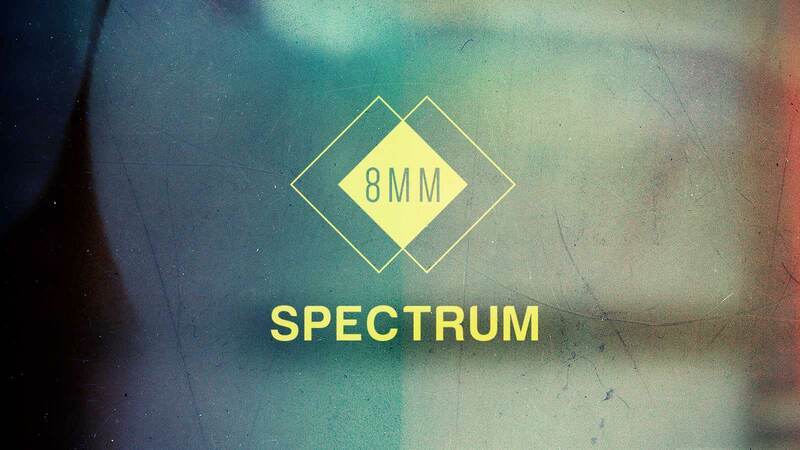 Captured on 8mm film, Spectrum is an authentic alternative to plugin effects. 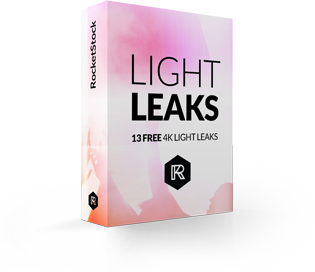 Easily drag-and-drop each light leak directly onto your timeline. You can easily tailor Spectrum’s light leaks to suit any project. 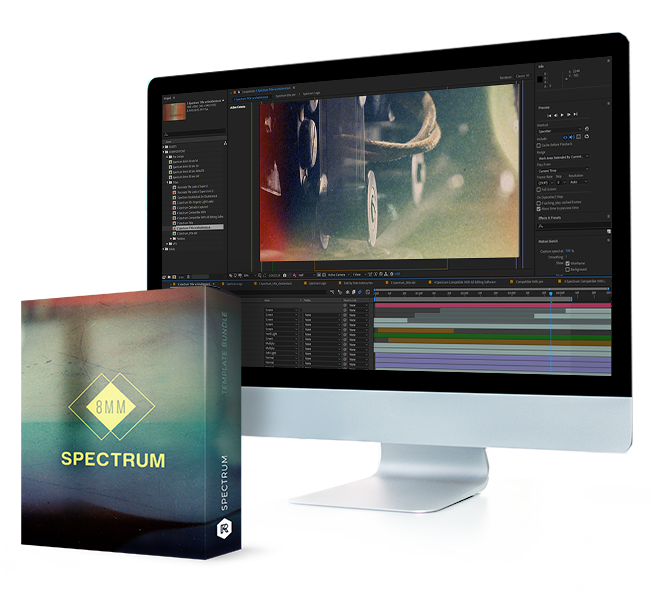 Spectrum is fully compatible with After Effects, Premiere Pro, Final Cut Pro, and other editing programs. It’s backed by some powerful specs too. It’s easy to give your video a cool ‘70s look with Spectrum. To help you get started, we’ve included an in-depth video tutorial. We’ll take you from setup to customization and beyond. 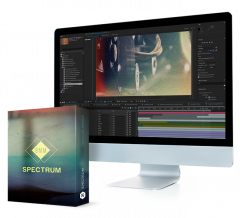 Make your video shine with Spectrum for $79.